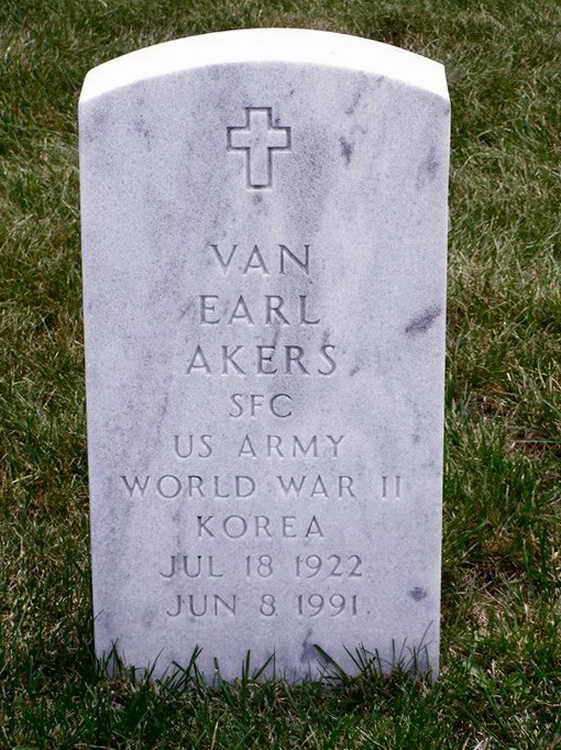 Grave marker for Van E. Akers in Plot 10, 0, 937 of the Quantico National Cemetery, Quantico (Prince William county), Virginia. Van enlisted in the Army at Huntington, WV on 29 July 1944. Pfc Akers was assigned to the Medical Detachment, 508th PIR during WWII and also served in Korea attaining the rank of Sergeant First Class.